There is one dream that many music teachers have at the back of their mind, that with time, they will be able to change their venture from a single person owned and run operation into a complete musical academy. For some people, the vision may seem so far-fetched and challenging to achieve, mainly because of the capital, legal and other requirements which one has to fulfil when starting an educational institution. However, if you have a passion for your vision, it is possible to walk one step at a time until you are able to get to your goal. Here, are some practical tips and ideas that can help you transform your practice into a school. The first step which you need to take before you start the strategy is performing a feasibility study for the business. This will be based on the location where you want your business. 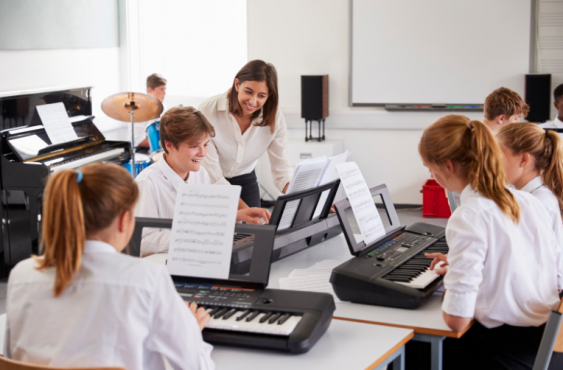 While it may seem like you are having a good flow of students to teach the occasional lesson in the summer, for a full music school to be successful, there needs to be an actual gap in your location of choice and a lot of interested parents and candidates. Remember that most schools try to have in place some sort of music program, regardless of how basic it is. When performing your feasibility study, try and find out if people would enrol in the school and what services they would be looking for. If there is a considerable amount of interest, you can proceed with the idea. The Inner Circle’s Piano Teaching Roadmap can help take you from a beginner teacher to business pro! Check out how the Roadmap can walk you through all the steps you need to take in order to run a successful business. When you have determined that there is demand for a genuine musical academy in the area, start thinking about the legal requirements that the state, city or county has in place to be met before opening a school. Visit the local authorities and educational services to inquire about the permits that you will need. In addition to that, find out the requirements which you should meet so that your school can be registered. Start looking for ways of meeting these requirements one after the other. 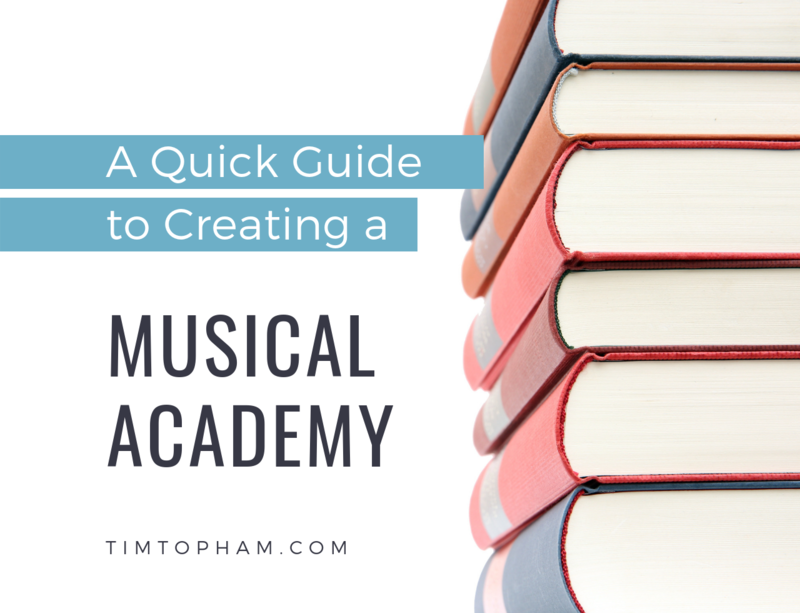 What would your ideal musical academy look like? When starting a musical academy, you need a location which will be relatively calm and far away from the noise and distractions of the city life. You might also need a location where there are open spaces so that students can have the freedom that they need to sharpen their skills. The location can be customized to become sound proof, and to include the equipment which is needed to teach music competently. Interested in creating a musical academy? The Inner Circle has a course exactly on this topic – Building a Music Academy. Click here to find out how the Inner Circle Community could help you. A musical academy is one of those startups which will need a lot of funding to accomplish. One way that you can go about the funding issue is starting small and expanding as the business grows and you get more students. You can even start the school with as little as one room and one teacher. On the other hand, when you are sure that the business idea will take off and the school will get a good flow of students, you can look for investors to help you rent or buy the space you need for the school, buy the tools and the instruments that are needed, customize the rooms for the perfect musical experience and pay for all the legal requirements that are necessary to make the school a success. Create a solid and very convincing business plan. Investors want to see that you have thought your idea through and that there is real potential before they part with their money. Make sure that you are pitching the idea properly. Being an expert in music means that you might not be as well-versed in business as the people who specialize in that. While you may be passionate about an idea and have a gut feeling that it has the potential for success, you might not have the skills to articulate this vision to investors. If this is the case, look for a partner that can handle the business side of the school to assist you with the pitching and also the day to day running of the business side of the school. Know the right places to look for funding. Music is one of those causes that create interest in very specific groups of people. Note down people that you think might be interested to offer funding. Identify people that you think could be interested in funding your business and approach them with your plan. Have a unique selling point: Product differentiation is what will make students come to your music school and not any other in the market. Figure out unique selling points and base the business plan on them to capture investors and also to help market the musical academy once it is up and running. When planning your musical academy, you have to think about the specific age groups that you want to attend your lessons. Most private schools are open for people of all age groups. However, it is also possible to have a structured program where learners of the same age group are grouped together and they learn similar skills progressively. Also, consider whether you will create a provision to make it possible for some students to receive individual lessons. Many teachers dream of creating a musical academy. Funding: you should only hire the number of tutors that you can comfortably pay when you are starting and add the number as the school expands. Your curriculum: If you are adding other types of lessons such as guitar and voice lessons, then you will need to hire tutors who are skilled in these specialities to start off the departments. Enlist the help of experts when recruiting the first tutors to join your school because in most cases, the pioneers are the ones who determine whether the school will rise or tank, and as the school grows, they will also shift into administrative roles such as heads of departments and you need competent people for those roles. You will need a business account to operate the school you will also need to register the school as a legal business entity. 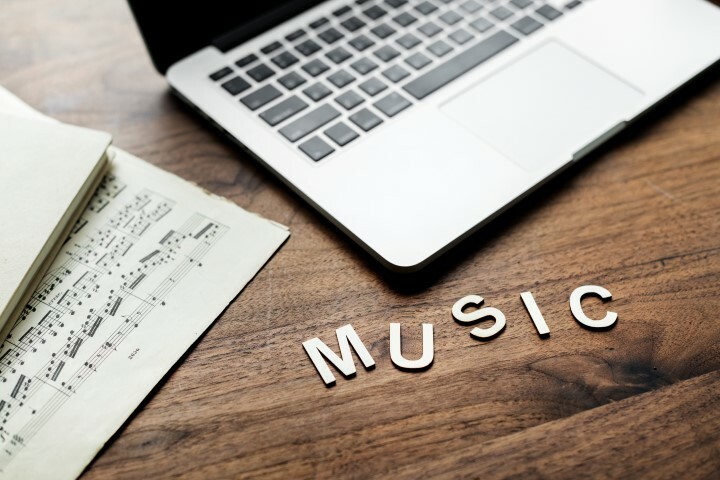 Other small but essential preparations which you will need to make is to come up with an appropriate business name for the school, create a website and ensure that you have established yourself as a brand that anyone who wants to become a skilled musician will want to work with. All these steps can be taken slowly but meticulously in order for the business idea to succeed. The most important thing that you will need is help and guidance in every step of the business plan. Share your ideas with individuals who share your vision and consult with them often and before making decisions. Also, benchmark with other people who have started successful music schools to learn about the attitudes, approaches, and tricks that have helped them thrive in the fiercely competitive business landscape. Finally, I always remember that it is the student who decides whether they will join musictoyourhome or not, and to make this choice, I have the job of impressing them and making them feel like I can offer the best quality of teaching. Tim Topham’s Inner Circle is your one-stop shop for creative piano teaching ideas. 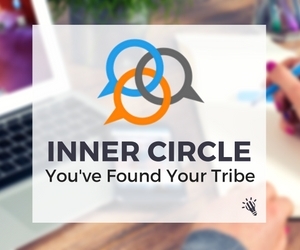 If you’re feeling burnt out or uninspired, Tim’s Inner Circle will transform your teaching. Expert teachers, supportive forums and hundreds of resources are waiting for you. We’ll see you inside! Vincent Reina began teaching piano lessons as a high school student, and has continued to do so ever since. He received a Bachelor of Music Degree in Piano Performance from Purchase Conservatory. He then earned a Masters of Arts in Teaching Music from Manhattanville College. Today, Vincent is co-founder of Music To Your Home, a New York City-based music school. He’s the proud winner of many significant piano competitions, including the Westminster Choir College Artistic Excellence in Piano Award.